For Wales' medieval legal system, see Cyfraith Hywel. 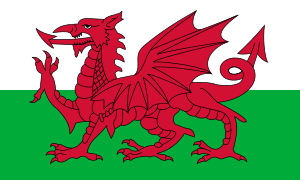 Welsh law is the primary and secondary legislation generated by the National Assembly for Wales, according to devolved authority granted in the Government of Wales Act 2006. Each piece of Welsh legislation is known as an Act of the Assembly. The first Assembly legislation to be officially proposed was called the NHS Redress (Wales) Measure 2008. These powers have been effective since May 2007. 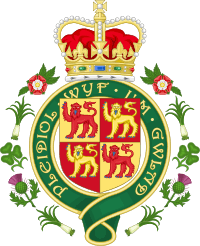 It is the first time in almost 500 years that Wales has had its own laws, since Cyfraith Hywel, a version of Celtic law, was abolished and replaced by English law through the Laws in Wales Acts, passed between 1535 and 1542 by King Henry VIII. Both the Government of Wales Act 1998 and the Government of Wales Act 2006 set out areas of devolved responsibility for the National Assembly for Wales (commonly known as the Welsh Assembly). The 2006 granted the Assembly legislative competence to make laws (known as Assembly Measures) in clearly defined "matters". In order to draft laws that are part of its area of responsibility, but where the powers of legislative competence have not been devolved to it, the Welsh Assembly could request these powers using a Legislative Competency Order or they can receive the transfer of power and the right to make laws through parliamentary bills. Each Order in Council for an area of legislation must be approved by the Secretary of State for Wales, both Houses of Parliament, and the Queen in Council in order for the Assembly to legislate in that area. Once the Queen has approved the Order, the new area of legislative competence is added to Schedule 5, Part 1 of the Government of Wales Act 2006. There is a Counsel General for Wales who oversees the approval and creation of these laws, and gives advice to the Welsh Government. The 2006 Act also included provisions which would allow for a referendum to be held on whether to grant the Assembly legislative competence to pass primary legislation to be known as "Acts of the Assembly" in all matters within 20 subject areas without the need for further Legislative Competency Orders. A referendum under these provisions was held in March 2011 and resulted in a vote in favour of granting the assembly the competence to pass the Acts of the Assembly. Therefore, the Assembly now has the legislative competence to pass Acts of the Assembly in all 20 devolved subjects. The Assembly can also legislate in areas that affect only the Assembly itself, which is why the National Assembly for Wales field is added. English law still apply to Wales under the present devolution settlement. Contemporary Welsh law will govern the local aspects of Welsh life whilst English law will govern the more generic aspects. Because these laws are derived from UK Acts of Parliament, some people consider this new system of laws to be another branch of English law. Unlike Scotland, for example, which has its own criminal and civil justice system, Wales still has a unified justice system with England. The 'One Wales' Labour/Plaid Cymru deal also has an area for devolution of a Criminal and Youth Justice System to this new legal system. It is important to note, that English law still applies in Wales, but it will also be important to say that some laws in England, that are devolved in Wales, may not apply in Wales. It is also possible to say that once the Assembly has legislative competency in an area to legislate using Acts of the Assembly, the National Assembly could lead Wales down a different route compared to English law. It's possible to say that there could be some acts that would be illegal in Wales, but not illegal in England and Scotland. For example, using an electric shock collar on a cat or dog in Wales is illegal, but it's still legal in the rest of the UK. As there is no criminal law within contemporary Welsh law, Wales cannot be considered a fourth jurisdiction of the United Kingdom. This is because the judiciary and the courts follow England and Wales law, which is made by the United Kingdom Parliament, and is not specific to Wales. Although Welsh law is recognised as separate in operation, this is not sufficient for Wales to constitute a separate legal jurisdiction. If the One Wales agreement is successful, before 2011, this may change, as the agreement calls for a review of criminal justice matters in Wales, and the question of whether it should be devolved to Wales; currently, however, there is no devolution of justice to the Assembly. ↑ "BBC NEWS | UK | Wales | Assembly powers bill becomes law". news.bbc.co.uk. Retrieved 2016-09-19. ↑ "Electric shock dog collars banned in Wales". The Telegraph. 25 March 2010. Retrieved 19 September 2016.